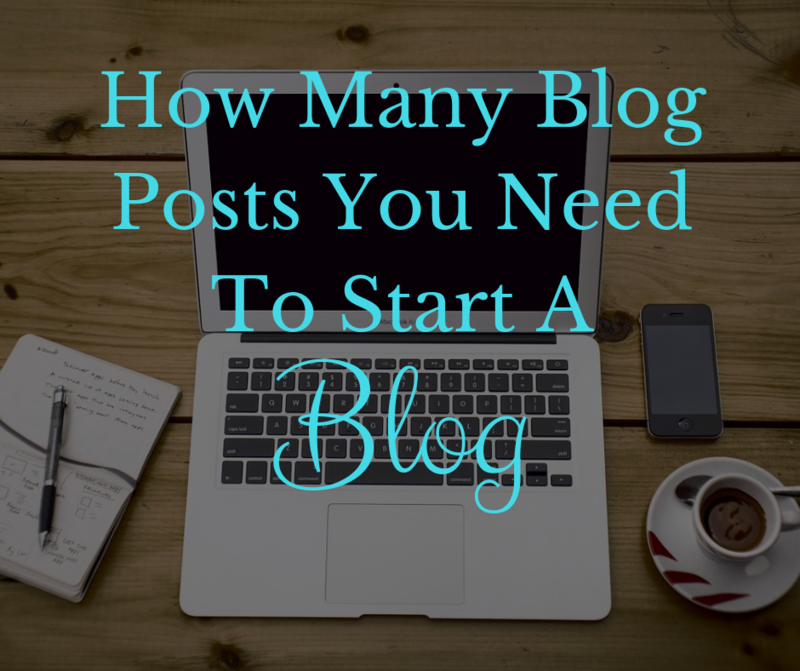 So you are getting ready to start a blog, but you want to know how many blog posts you need to have before you start. There are 2 answers to this question. First, you don’t need any blog posts to start a blog. Second, you need as many as you can write before you start a blog. I know those two answers just contradicted each other, but let me elaborate a bit. The true answer to this question is that it’s up to you. There are pros and cons to both options, but with the right information, you’ll be able to decide what’s best for you. Starting a blog without any blog posts, it can definitely be done, this is how I started. You can get website hosting for next to nothing. Hosting for your blog is one of the most affordable things involved with blogging. If you are just starting out, it’s probably the only expense you will have for your blog until you really start to promote it. Just be sure to use a reputable company like Bluehost. Bluehost offers 1 click WordPress installation, a free domain name, free SSL (makes your site secure for your users), and 24/7 support all for an affordable monthly fee. Yes, you need to use WordPress and you need a paid hosting service (because you will own your site). Without paid hosting, you won’t be able to monetize your site in the future, and transferring hosting is an absolute nightmare. Starting with an affordable paid hosting site will save you a ton of stress in the future. Heres the downfall. When you start your blog without any or many posts, it might be hard to find time to write new posts. Starting a blog is very time-consuming. Don’t be fooled by claims like how to start a blog in 5 minutes. Yes, starting a blog and installing WordPress takes only a few minutes. Once you do that, you technically have a blog, but there’s a lot more to it. When starting a blog, you have to realize that it takes a lot of work. It’s very rewarding, but let’s face it you have a lot of new things to learn. I went to college for web design but still had to learn almost everything from scratch. Don’t get me wrong, most of the things you will need to learn are simple, but there are so many different things to learn that it takes some time to get the hang of it all. This is where the time restraints come in. If you want to focus on growing your blog and getting visitors to your website, you might not have as much time to create content. This is where it would benefit you if you had 20 to 30 blog posts already written. You could post a few of them each week as you figure things out in your WordPress site. Since hosting is so affordable, you could start your blog and work on creating it for a few months before starting to promote it. This is what I did. I would write posts and publish them, see how they looked, then edited them. I didn’t have any visitors to my blog, so it didn’t matter what I published. This gave me time to try different themes and figure out how I wanted my blog to look and feel. I wasn’t simply just writing, and writing, and writing, I got to interact with my website (this is the fun part of blogging for me). This puts you at an advantage. When you start a blog, there are so many new things that you are going to have to learn. How to use WordPress, what plugins do I need, and how do I market my blog on Pinterest just to name a few. Most of these things are not very difficult, but they might take a little bit of time to master and implement on your own. In the beginning stages of your blog or when you are trying to make it grow, you’re going to have to invest a lot of time to learn these things. Having a good stack of posts that are ready to be published while you are figuring things out is a great idea. It will only help you during this stage and get the ball(blog) rolling faster. Does prewriting blog posts work for everyone? No, nothing ever does. If you tell yourself that you are going to start creating content before creating a blog, try to do just that. As a blogger, you will probably think about or work on your blog at least 5 to 10 days a week. Yes, you might even think about it in your sleep. If you are creating content before launching your blog, create as much as you can. You should try to write almost every day. If you find yourself not putting in the time and creating content, maybe it’s time to make the leap. Once you have a hosted WordPress blog, you will probably be more eager to put in the time because you took that step and started a blog! Now it’s all real. I had trouble personally writing before creating my WordPress site. I just didn’t take it seriously and I didn’t know what to write about. Writing in a notebook or in Microsoft word was not that exciting to me. As soon as I got my hosted site that was all I could think about. So if you are serious about wanting to start a blog, take the leap, start it, and don’t look back! 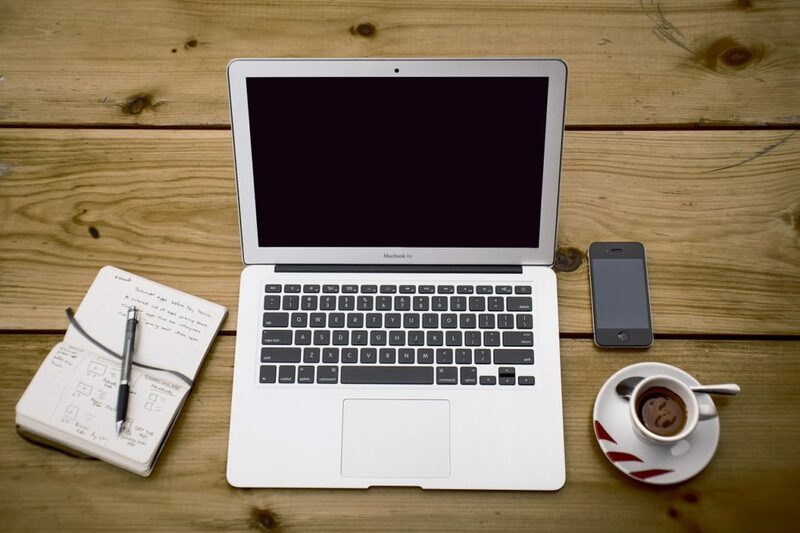 Once you start a blog, fast-track your progress with these 8 Essential Tools Every Blogger Needs for their website. This post will save you so much valuable time. We have compiled this list to help you sort through all the information out there and take the right steps from day 1 of your blog. You won’t regret it, this post would have saved me a month of reading and experimenting when starting my blog. Luckily, I have compiled this for you, enjoy! Let us know what’s holding you back, or how many posts you had when you started your blog. We would love to hear from you!